I didn’t want to upgrade either until I was sure at least one of them would work with LogMeIn. 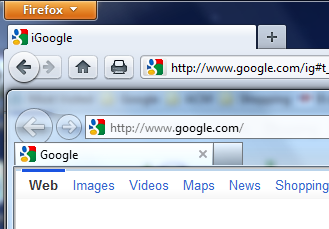 It does seem to work OK in both Firefox 4 and IE 9 now, so there’s no reason for me to not upgrade now. On a related issue, I was testing HTML 5 video in IE 9 last week, and ran into a really annoying problem. For some crazy reason, my work machine has Windows 7 N on it, the version without Media Player. Well, it turns out that IE 9 won’t play HTML 5 video if Media Player isn’t installed. And it won’t show you a useful error message either. It just won’t play. I eventually figured this out, and installed the Media Feature Pack for Windows 7 N. Now, all is well.